Melvin Tennant, at least publicly, hasn’t gotten full credit as the man largely responsible for the Super Bowl being in town. Tennant, a recognized leader in the travel industry, is one of 11 Blacks on the 80-plus-member Minnesota Super Bowl Advisory Board, consisting of local and statewide community leaders. He is the co-chair of the group’s tourism marketing committee. Meet Minneapolis’ second-ever CEO since 2008 and his team has brought an estimated $460 million in “actualized economic impact” to the Twin Cities area annually in the form of conventions, conferences, small- and large-scale sporting events. “We spend most of our time on events that are not as high profiled” as the Super Bowl, Tennant told the MSR at his downtown Minneapolis office. “There are [only] so many Super Bowls and Final Fours. We can’t live on that,” he pointed out. Tennant’s impressive résumé includes many accolades and awards, and he serves on several local and national boards, including past chairman of the Destination Marketing Association International. He and his Meet Minneapolis team worked months on the bid presentation for the NFL title game. They worked closely with the Minnesota Vikings and others — he and the Minnesota contingent had barely a half hour to present their case to the league selection committee. Tennant’s presentation included hotel availability, restaurants, and other local amenities for the anticipated million visitors expected to spend lots of money for the game and its related events during the 10-day celebration. “We were able to bid on the Super Bowl while the [Vikings] stadium was coming out of the ground,” Tennant recalled. Minneapolis is the first U.S. northern city to host the game twice, which usually is played in warmer places. The NFL has selected six “cold-weather” cities: Pontiac, Michigan (1982), Minneapolis (1992, 2018), Detroit, Michigan (2006), Indianapolis, Indiana (2012) and East Rutherford, New Jersey (2014). The Metrodome was the site of the 1992 game, site of the current location of the new Vikings stadium on the eastern edge of downtown Minneapolis. The area’s legendary weather at this time of the year was an anticipated discussion point, Tennant recalled. “There was an internal discussion on how are we going to communicate weather” if asked by the selection committee, he notes. “Finally, I think the consensus was we have to deal with it head-on. There’s nothing to apologize for. The Twin Cities have now become a destination place, largely thanks to Tennant and his team. “Over the years, Minneapolis has been fortunate enough to host a number of major sporting events,” he pointed out. 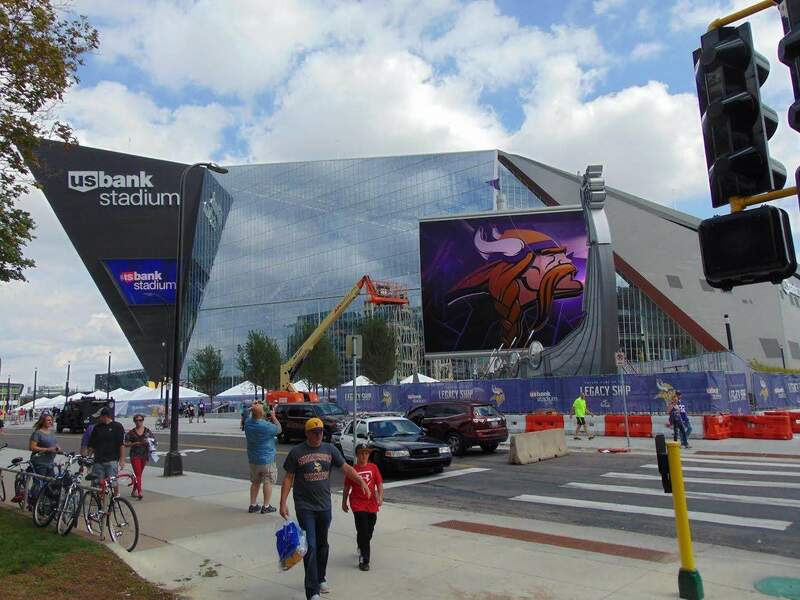 The new Vikings stadium “put us in the running to successfully bid on and receive a Final Four bid,” Tennant said on the 2019 NCAA men’s national basketball championships scheduled at the multi-use facility in April 2019. “I remember one of the very specific aspects of the bid that the NCAA was very pleased with is what we call ‘compact urban experience.’ We have a major stadium downtown, near hotels and restaurants. The Final Four in some cities are out in the suburbs. Tennant’s group also brought to town the 2014 National Association of Black Journalists annual convention and the National Baptist Convention for the second time, when the Black church group comes to Minneapolis this September. Under Tennant’s leadership, Meet Minneapolis launched Sports Minneapolis in May 2014 to market and sell Minneapolis as a sporting venue. “I serve as executive director of Sports Minneapolis as well as president and CEO of Meet Minneapolis. We have two dedicated staff and about five shared staff,” he said. Also, later this year the city will host the NCAA men’s and women’s hockey championships, the Summer X games, women’s volleyball championships and the 2018 WNBA All-Star Game. NFL officials claim the Super Bowl’s economic impact on the host city is between $300 million and $500 million. An earlier study commissioned after the 2012 Indianapolis game reported a net economic benefit of $278 million. Academic studies, however, estimate the game’s economic value at between $30 million and $120 million, with most of the money going to out-of-state companies such as nationally owned hotels and car rental companies. Still, Tennant says, the local hospitality industry will benefit from the Super Bowl. “The hospitality employment has grown steadily over the years. One of our main measures of success is in the tourism employment and hospitality industry.” “Thirty-three thousand people in Minneapolis make their living in some form of hospitality and travel,” and many are new immigrants, new workers, and people of color, he pointed out. Meet Minneapolis under Tennant’s leadership designed the city’s first-ever tourism master plan, Destination Transformation 2030, to keep Minneapolis viable for the future. “You can’t make a living on a Super Bowl every 20 years,” said Tennant.